"As technology has advanced, the necessity to filter air has become even more important"
No matter how well you maintain your surrounding work area can be filled with air pollutants, dust particles, mold spores, dander, pollen, dust mites, cleaning chemicals, volatile organic compounds (VOCs), chemically active compounds (CACs), carbon monoxide. zIVF-AIRe™ 100C Air Filtration / Purification Add to these culprits the chemical irritants lurking about… in carpets from the front office, behind the walls, from off-gassing in plastic materials, in the cleansers and waxes used to keep your laboratories and work surfaces clean. All these have a direct influence on your results. The key to effective air filtration of damaging volatile organic compounds is in the Photo Catalytic Oxidation Chamber. The chemical compounds become highly reactive when exposed to a specific wavelength of ultraviolet light. The photocatalyst attracts pollutants and converts them into benign compounds such as water (H2O) and carbon dioxide (CO2). A Back-Position Hospital Grade HEPA Filter individually tested by the supplier and certified to remove particles of 0.3 µm with not less than 99.97% efficiency by an approved aerosol. Pollen, mold, fungal spores, dust mites, and bacteria are examples of micro particles. The Photo-Catalytic-Oxidation converts malign toxic compounds (even carbon monoxide and nitrous oxide) into benign constituents such as H2O and CO2. The catalyst is such that it does not wear out or lose its effectiveness as a result of its actions. Ultraviolet light attacks the molecular structure of viruses and bacteria, which are too small to be filtered out by the HEPA filter, thus rendering them harmless. Ultraviolet light converts VOCs and CACs into H2O and CO2. Ultraviolet light technology combined with Photo-Catalytic-Oxidation is an important and unique feature of this air purification / filtration system. Electronic sensors monitor air quality and automatically increase the performance of the air purification system to compensate for periods of unusually high chemical activity, and increased human activity. Warning lights alert staff to the presence of toxic chemicals and fumes well before they reach dangerous levels or become detectable to the human senses. In the absence of high activity, the air purification system can switch into a sleep mode and "wakes up" as soon as it detects activity. The key to Photo-Catalytic-Oxidation is the titanium dioxide in the photo-catalytic chamber*, where it becomes highly reactive when exposed to a specific wavelength of ultraviolet light. In the presence of organic pollutants, such as solvents, alcohols, carbon monoxide, dyes, and fuel oils, the activated photo-catalyst attacks the chemical bonds of the pollutants, converting the toxic compounds into benign constituents such as H2O and CO2. The UV lamp used in the ZAND-AIR™ 100C Air Filtration / Purification System has an output in the 254-nonometer wavelength range. This wavelength destroys bacteria and viruses and does NOT produce ozone. 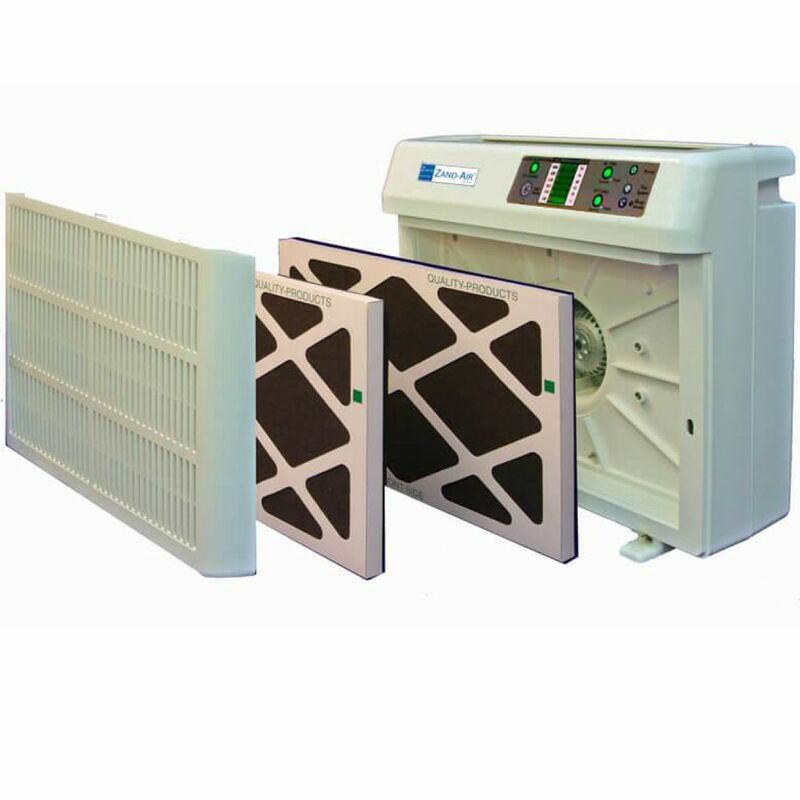 Ozone is not detected in any measurable quantity at the exit grill of an operating ZAND-AIR™ 100C Air Filtration / Purification system . UV light is not reflected by most surfaces but absorbed and thus cannot exit through the outlet grill of the zIVF-AIRe™ 100C air purification system. The “blue” visible light seen when the unit is operating is characteristic for the UVC lamp, and is not an indication of UV radiation emission. Important Summary Features of the ZAND-AIR™ 100C Air Filtration / Purification System is effective up to 2,000 square feet / 185 m2and it only costs a few cents a day to operate full time, 24 hours a day. 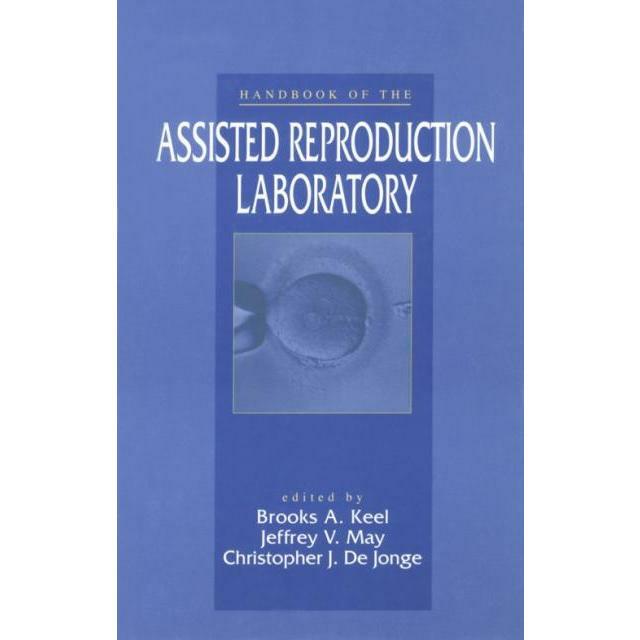 The FRONT POSITION Activated Carbon Filter, (ACF) a specially formulated mixture of proprietary compounds selected to adsorb all VOCs and CACs in the IVF laboratory environment. The specially formulated gas adsorption media (including zeolite and potassium permanganate) adsorbs automobile exhaust fumes, organic hydrocarbons, formaldehyde from particle boards used in construction, paint, solvents, chlorine, cleaning chemicals, volatile organic compounds (VOCs), chemically active compounds (CACs) and other harmful agents. 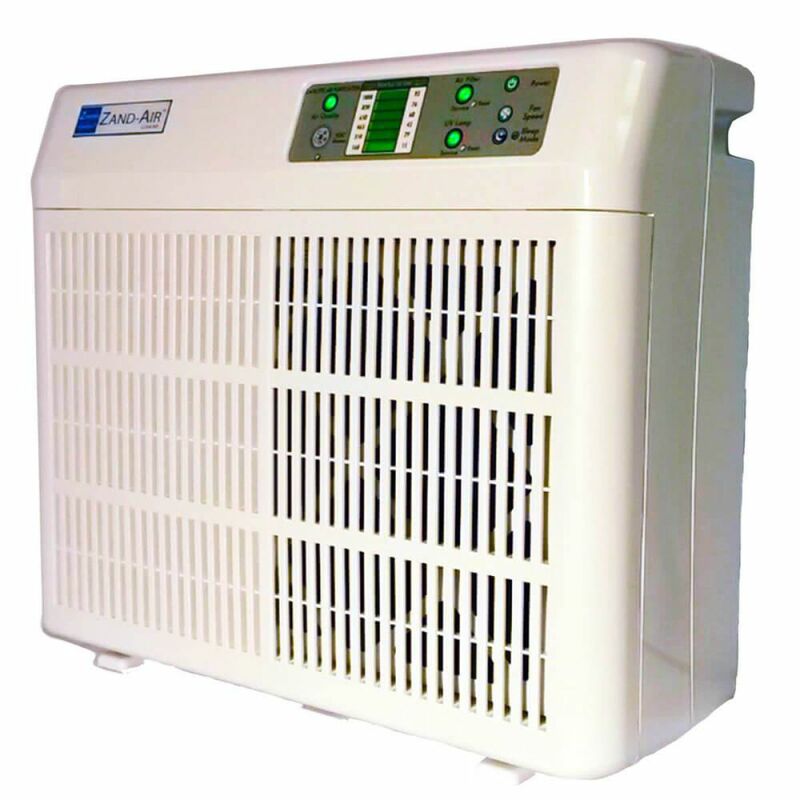 The ZAND-AIR™100C has a back-position Hospital Grade HEPA Filter individually tested by the supplier and certified to remove particles of 0.3 micrometers with not less than 99.97% efficiency by an approved aerosol. 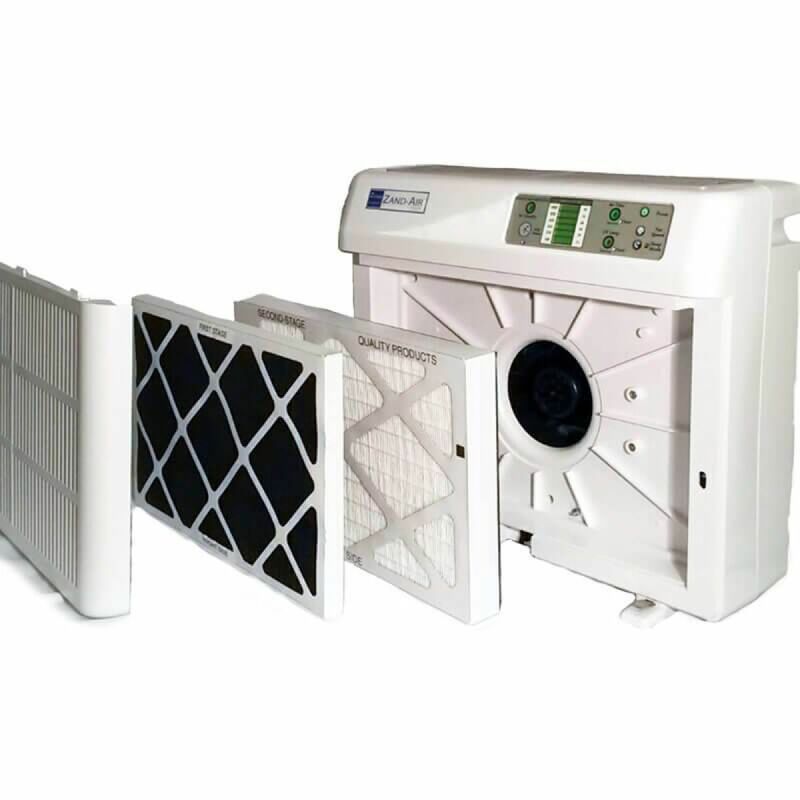 Electronic Sensors monitor air quality and automatically increase or decrease the performance of the air purification system.